1896 saw a continuation of the SAAU/SAAA split and the Heart of Midlothian Sports were conducted under the rules of the SAAU. Indeed the reports were that Hearts was the force encouraging the Edinburgh clubs to affiliate to the breakaway body. There was however no Queen’s Park Sports in 1896: the principal event in Glasgow was the Govan Police Sports at Ibrox and in Edinburgh the Hearts Sports led the way. On the second Saturday of the month the Glasgow Police Sports and the Clydesdale Harriers Sports took place in Glasgow, and the Edinburgh Harriers held their sports in Edinburgh under the SAAA rules. However there appears to have been no Queen’s Park event that year. That doesn’t mean that Hampden was out of athletic action: while the SAAU championships were taking place at Ibrox, the SAAA championships were taking place at Hampden. There were also three bicycle races. There were certainly some talented and popular Scots in competition along with some English competitors. Hugh Barr the long jump record holder and prolific title winner and international sprinter has been mentioned already, RG Murray title winner and record setting high jumper and W Robertson, title winner and cross-country internationalist from Clydesdale Harriers were all competing. There was also a host of dignitaries fit to grace any meeting in the country. The Referee lists Arthur Geake, William Sellar, William Maley, DS Duncan, Humphrey Jones, Alexander Blair, JA Crerar, Andrew Hannah, Andrew Rennie and the handicapper was Bob Livingstone. The sprints were the main thing according to the Referee. The 100 was won by Barr who did not participate in the 220 because he entered the long jump where he was second.. Popular winners of their heats in the 220 (which only had nine heats) were AS Maley and J Muir but neither were in the hunt when it came to dishing out the prizes. AAG Stronach won the hurdles easily but how about the Mile? There was a field of 78 runners on the track at the same time. “there is no doubt that the sight was a pretty one to see the kaleidoscopic changes in the multi coloured costumes of the aspirants for honours as they moved round the track. 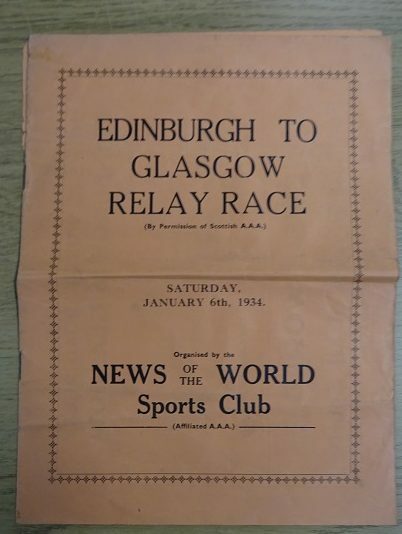 The scratch men had no earthly chance of getting through the multitude and they gave up long ere the finish.” It was won by David Rennie of Whiteinch Harriers (155 yards) from Brown of Bellahouston (120 yards). There was also an invitation mile (26 entrants, 13 starters) , won by Robertson in 4 min 25 3-5th sec. The half mile handicap was won by Bell of Airdrie. The Herald also tells us that it was the ‘largest programme in the history of the club.’ Another successful sports meeting for Hampden. The ‘Scottish Referee’ added that a ‘good crowd was induced to attend’. There may have been no individual achievements of note but there were individual of note competing. One was the reigning British one mile champion WH Welsh who won the mile in 4:27.2 and the article pointed out that the time is a better performance than it looks. Welsh’s best for the season up to that point was run on a heavy track with a ‘heavy breeze’. None of the short limit men in that race ran in the open mile so the men on the big handicaps had it all their own way. 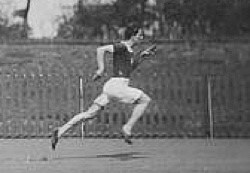 There were 58 in the race – all on the track at the same time – which was won by Robertson of Maryhill Harriers, off 125 yards, who was 30 yards clear of the second man, Parlane of the Rangers FC who was off 130 yards. Hugh Barr and RG Murray competed in the field events. Murray also ran in the 100 yards (20 heats), winning his heat but nowhere in the final which was won by Buchanan of Rothesay AAC who also won the 220 yards. The half mile as won by Dunn of Clydesdale Harriers in 2:01.2. The 120 yards hurdles was unusual that AAG Stronach won his Heat but was unplaced in the final which was won by D Carr of Maryhill. Murray and Barr were second in the high and broad jumps, although they each put in the best performance of the day. The broad jump was won by Blaney of a club called Dunaskin AC. There were also the usual bicycle races. There were also four bicycle races. In 1902 the sports were held on Saturday 6th but the rain in the morning was only one factor leading to a poorly attended function. The ‘Scottish Referee’ had this comment to make. “At Hampden Park where the last sports to be held under the auspices of the premier club but £80 was drawn. Whilst the weather accounts to some extent for the poor patronage, still it has to be feared that the public interest in athletics is not what it used to be. Since the decay of cycling, there has been a lack of novelty in our sports and in order to revive interest it may be well dor club committees to consider whether or not they can invent some royalties that will add a spice of variety and relieve the sameness of the pedestrian events. 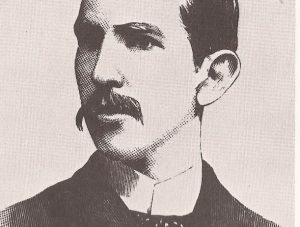 Further down in the article he commented on the need of Queen;s Park as a club to recruit new men for the committee, concluding “never in the history of the club, since its institution in 1868 has it stood in greater need of leaders.” The article is one that it is worth reading in its entirety. However the sports themselves were very good. There were twenty four heats of the 100 yards, four semi finals and the final which was won by JP Stark, the 220 had nine heats. and was won by Hutcheson of Kilbowie Harriers. The half mile was won by Small of Paisley Harriers from John McGough, with WH Mill, West of Scotland, winning the Mile. In the field events, RG Murray won the high jump from scratch. Hugh Barr: 7 times Scottish Broad Jump champion; one 100 yards championship; two international victories. 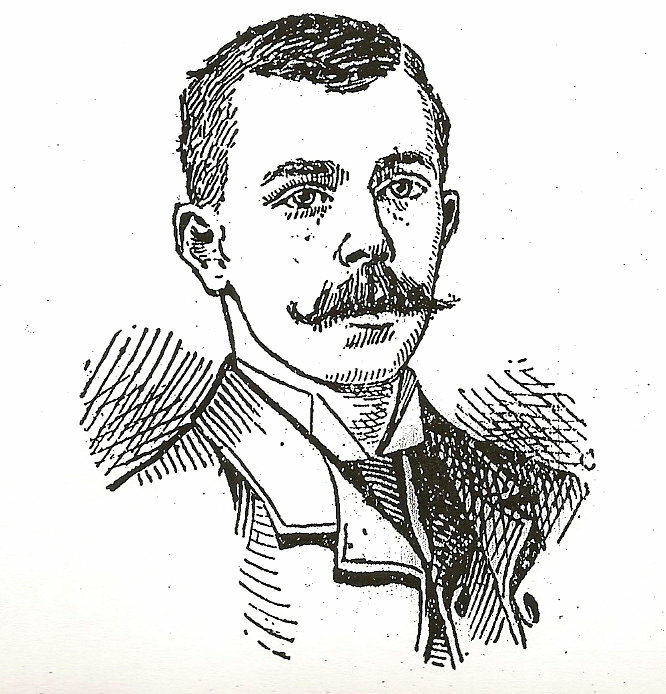 Andrew Hannah: once mile champion, three times four miles champion and five times ten miles champion; five times cross-country champion. H Welsh: Twice 880 champion, twice mile champion. Six international victories including twice winning both half and mile v Ireland. The reporter from the Scottish Referee might have been right about the poor standard of athletics in 1902 but the Queen’s Park meeting had at least two who would go on to great things in the sport. 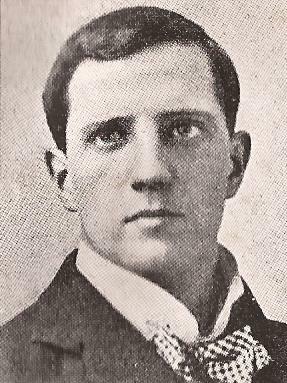 JP Stark would win many national titles and compete in international athletics; John McGough (below) would also win many SAAA titles at various distances and compete in the Olympics. But this would be the last QPFC Sports until 1907 – and even then there were committee members against holding them. The events on the afternoon included a 100 yards open handicap with 6 Heats, 220 yards open handicap, a 440 yards open handicap, 440 yards confined, 880 yards confined, one mile open handicap, high jump, two bicycle races and a one mile tricycle handicap. 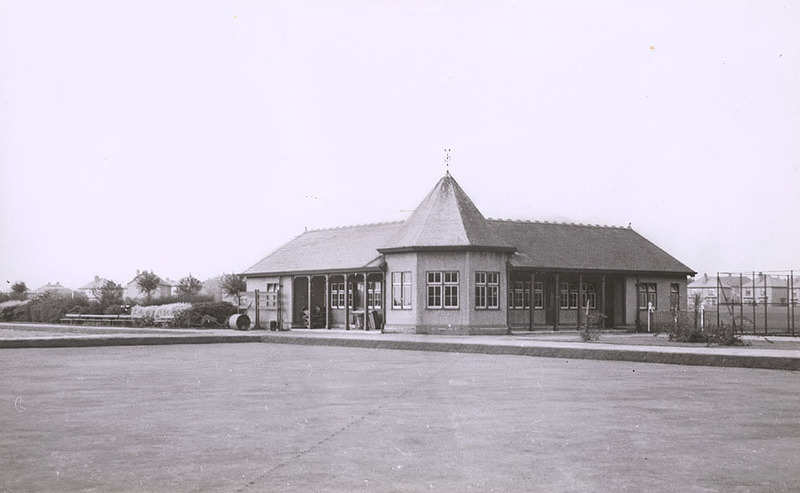 The sports began with the Heats of the 100 yards confined, went on to an extended four a side competition featuring Rangers No 1, Clyde Strollers, Cambuslang Strollers, QP Strollers, Rangers No 2, Gordon Athletic, Rawcliffe, Vale of Leven, Abercorn, Partick Thistle, Royal Albert, Clyde, Kilmarnock, Rutherglen, Cartvale, Drumpellier, Cambuslang, Battlefield, St Mirren, Dumbarton Athletics, Cowlairs, Victoria and The Etceteras (QP). Four of the above teams did not appear and the semi finals between Dumbarton and Dumbarton Athletics and The Etceteras (Queens Park) and Cambuslang would be played the following Saturday, as would the semis and finals of the confined 100 yards. The weather the following Saturday was reportedly not of the best and there was not a big crowd at the start, either in the ground or in the stand. The first event was the half-mile confined and when this was ‘got out of the way’ the 100 yards open handicap runners took to the track for one of the feature races of the afternoon. The track was ‘in capital going order and fast’. There were ten Heats of the race and many very good athletes were among them. The Maley brothers, Willie (3 yards) and Tom (1/2 yard) both qualified for the second round, with Tom winning the final after a hard race against AS Blair by half a yard. Queen’s Park Etceteras won their semi-final and then defeated Dumbarton in the final. 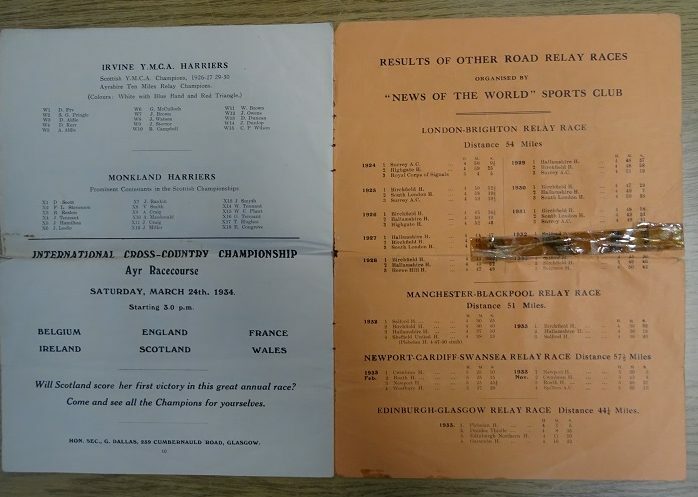 The athletics programme included all the usual events from 100 yards to one mile with some confined events mixed in with the open handicaps but the cycle races were regarded as the big draw with English champions competing, there was also a tandem race and a tricycle race. Quite the build up but would the sports live up to this billing? Seven days later. “Another instance of the apathy of the Glasgow public to athletics meetings was forthcoming on Saturday when the Queen’s Park held their annual sports. The weather, it is true, was not very inviting but had it been a football match thousands would have suffered, without raising a murmur, any little discomfort that may have been caused through the rain. We cannot comprehend why the Glasgow public should be so one-sided in their taste. Football unquestionably is a great game but there are physical traits, if we may so speak brought to the surface as our athletic meetings which are every bit as interesting as the pluck and determination usually shown in a football match. Last year the Queen’s Park dropped £70 on their meeting, and the loss on Saturday will not be much less than that amount. We hope better times are in store alike for the QP , and all those clubs who are doing so much to give athletics a firm, solid footing in Scotland.” So thanks to the weather the attendance was poor. The meeting itself, according to all the reports was a good one with the Mile being specially mentioned. John Blane of Clydesdale Harriers and Maybole could not run, which was a real pity, but the race between Charles Pennycook, Clydesdale Harriers and Arthurlie FC, off 15 yards and AM Marshall of Irvine FC, off 20, was a good one with Marshall just winning,. 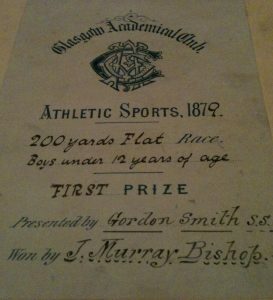 Robert Mitchell of Clydesdale Harriers and St Mirren FC won the 600 yards, DK Gow of the Rangers Fc won the 100 yards handicap, and JR Gow, of Clydesdale Harriers and Rangers FC won the hurdles. Where the athlete had joint membership, both clubs have been shown to indicate that it was a time when no sport claimed exclusivity and all clubs had multi-talented sportsmen representing them in open competition. 880 yards handicap: J Taylor; one mile open handicap: A Hannah, Clydesdale Harriers, 20 yards. Quite often the description of a sports meeting which starts ‘First Annual … ‘ expresses the good intentions of the promoting club which are not followed through by the next year’s committee. This could be because of a change of personnel or of a change of priorities or some new factor coming into play. However it pans out, a good percentage of ‘first annuals’ are not followed through. In August 1881 both Third Lanark and the Rangers held their ‘first annual’ sports’ a week apart, Thirds being seven days before the Rangers event. The search for the ‘second annual’ begins on Saturday, 1st April, 1882 when there were no athletics meetings reported in the ‘Glasgow Herald’. The ‘Herald’ is the newspaper of choice for the search since the two clubs we are interested in here are Glasgow clubs. The following Saturday, 8th April, there were what were called ‘National Sports’ at Shawfield. In front of a crowd of 1500 people, 36 entered the 160 yards handicap and 29 in the 600 yards handicap which was run as a single race and included a two miles race. The National Sports included highland dancing, bagpipe playing, heavy events, etc and most of the competitors were professionals. On the same day there was a foot race between two men for £4 at Longbar, Beith. Other than a professional walking race in Edinburgh, that was it for the second week in the month. 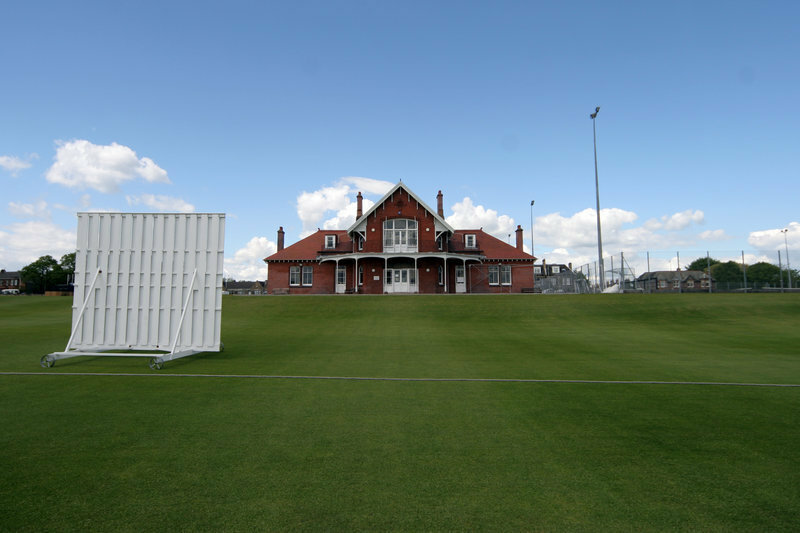 Came 15th April and the main fixture was an amateur athletic meeting run by the West of Scotland Cricket Club at Hamilton Crescent. A well organised meeting, it was not the first in the series, and it included two- one- and half-mile bicycle races, and 100 yards, 120 yards hurdles,200 yards, quarter-mile, half-mile, one mile and, as a source of amusement, a steeple chase with 4 water jumps. There was also an Indian tug of war over water. At Shawfield there were the usual professional races – on this occasion there were the preliminary rounds of a 333 yard handicap race, no fewer than 16 of them. As at the National Sports, the bookies were very busy. On the east coast there were the games of the Edinburgh High School. On 22nd April, the Kilmarnock FC annual sports had their first meeting with the conclusion being held the following week. The main attraction was the football tournament but there were several athletic events – a 100 yards confined to the club, and a mile confined to the second eleven. Larchfield Academical Club also held their sports on that day. These included a 120 yards hurdle race (won by A Vallance of Rangers FC), a 100 yards, a 200 yards, a quarter-mile handicap, a half-mile handicap, and one mile. On the last Saturday of the month, the National Sports took place at Shawfield (“Mr Gilmour’s grounds) involved Donald Dinnie and W Cummings. Kilmarnock FC Sports reached their conclusion with the open athletic and cycling races taking place. In Glasgow, the Glasgow Academical Club held their annual sports on Kelvinside Grounds with a mix of confined and open events. Into May and the first events were contested on 6th May. 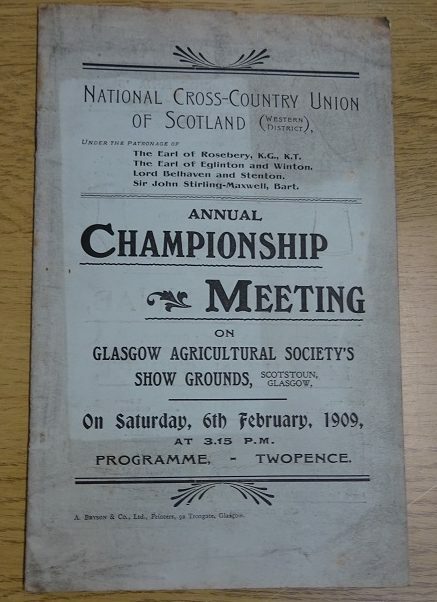 The big report was on the Glasgow University Sports at Gilmorehill with the only other event being the weekly day’s professional sport at the Shawfield Grounds. 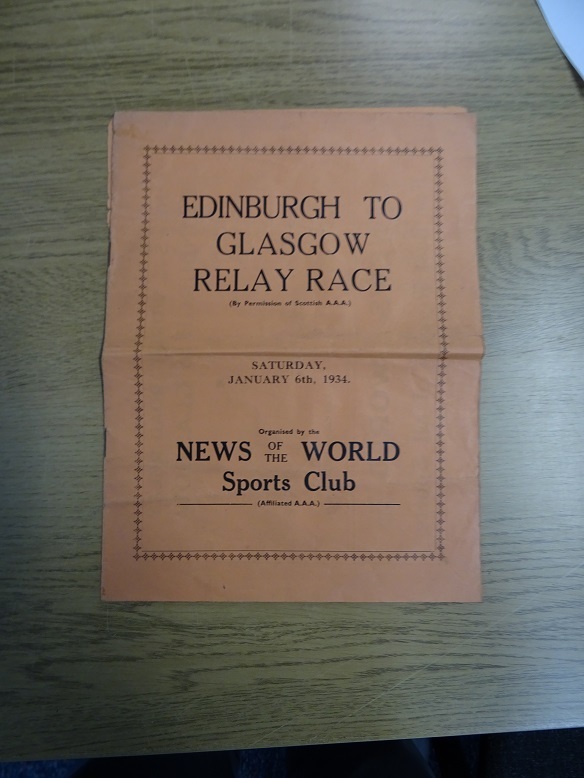 On 13th May, top item in the Glasgow Herald was Watson’s College Sports at Myreside, closely followed by the Edinburgh Royal Gymnasium Sports, which was a professional event with, for example, a prize of £15 for the Mile, watched by a crowd of 2000. Then there was the weekly professional Shawfield Grounds event in Glasgow which this time included a 200 yards dog handicap race. The final of the 333 yards handicap was run and there were great shenanigans in one race with runners being tripped up, cries of foul, the tape being broken by the judges and ‘no race’ being called. And that was just in the heats. The dog race was won by Mollincott from Poodle and Gip. The owner of Poodle claimed that his dog had won and said he would write to the press. There was a foot race in Beith over 160 yards for a £10 prize – two runners forward. 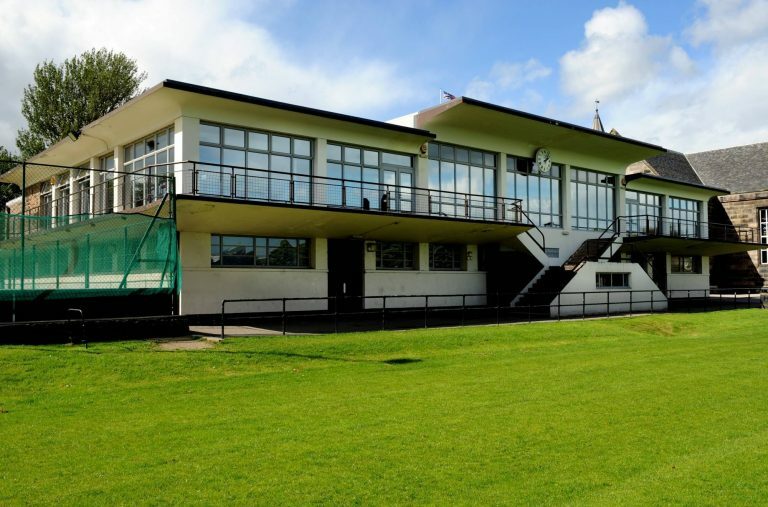 There was an amateur sports at Vale of Leven organised by the local cricket club where 3000 spectators watched athletics, cycle racing and four a side football. 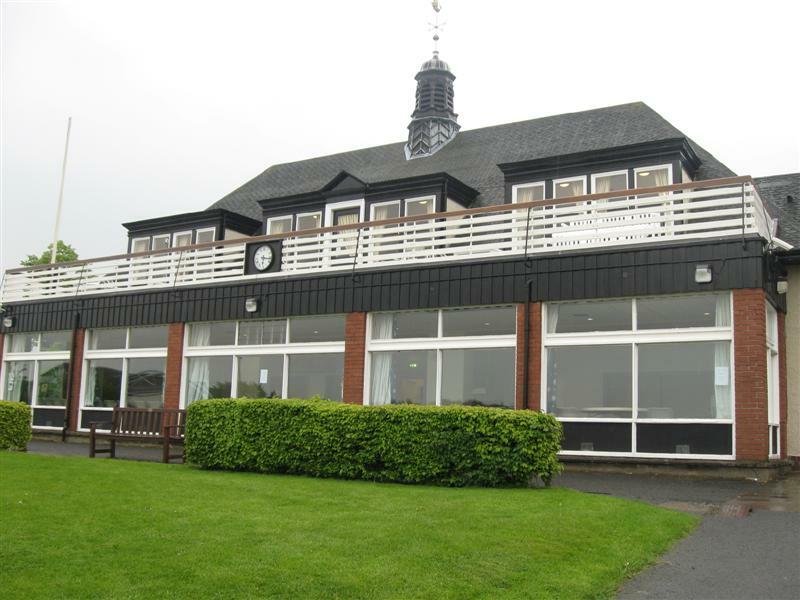 The next Saturday was the 20th May was the date for the big amateur athletic meeting in Greenock organised by the Greenock Cricket Club, Greenock Wanderers Football Club, Greenock Amateur Bicycle Club and the West of Scotland Amateur Boat Club at Glen Park. “The above four clubs intend, it is understood, making the Glen Park Sports an annual event. The name chosen for the sports is of interest because the Greenock section of the Clydesdale Harriers was given its independence in 1892 and took the name of Greenock Glenpark Harriers. That was the only event of the afternoon and many of the contestants were representing football clubs with a big group from QPFC. .The already well established Alexandra Athletic Club Sports was given top billing on 27th May for their event at Kennyhill Park. Petershill defeated Alexandra Athletic in the four a side football tournament and again, the prize winners lists were dominated by representatives of football clubs with the Queen’s Park athletes but T Dingwall of Third Lanark won the handicap mile confined to the West of Scotland and was second in the Open Mile handicap. The National Games at Shawfield where one of the attractions was to be Donald Dinnie lifting a 230 pound dumb bell from the ground to arm length above his head – this was successfully accomplished: he also won putting the stone, throwing the hammer and tossing the caber. In the wrestling Dinnie qualified for the final when – “When he came to meet Dinnie, Harrison advanced, as is customary, to shake hands, Dinnie refused to accept this token of friendly rivalry. The crowd repudiated this act, and loudly hissed the champion. A rather lengthened struggle took place and Dinnie had some trouble getting the mastery but ultimately threw Harrison heavily twice in succession and won. 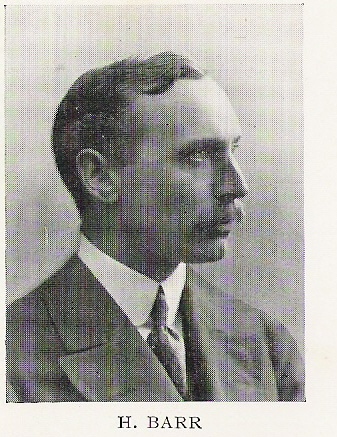 Harrison was warmly greeted when he left the ground.” There were annual sports held at Dumbarton that day and in the east, Edinburgh Royal Gymnasium held their sports before about 2000 people. On 3rd June the Kilmarnock Amateur Bicycle Club had their annual sports. One of the most popular of the sports, it was held on the Rugby Ground where although there was a football match and two foot races, it was almost entirely a cycle meeting. The Ayr Academical Sports (which are much looked forward to by the youth of the town) were held on 10th June and had races for all the schools in the area as well as a few for senior athletes and a football match was also incorporated into the programme. There were sports at Shawfield Grounds again – this time mainly heats of a 200 yards race with the final to be held the following week. There were also sports held at Johnstone under the patronage of Colonel Sir Archibald Campbell and held on the ground of the Johnstone Football Club. Donald Dinnie was in action again at Greenock in the National Games held there and in the Borders, the games held in connection with the Hawick Common Riding went off successfully with the main events being wrestling, running. 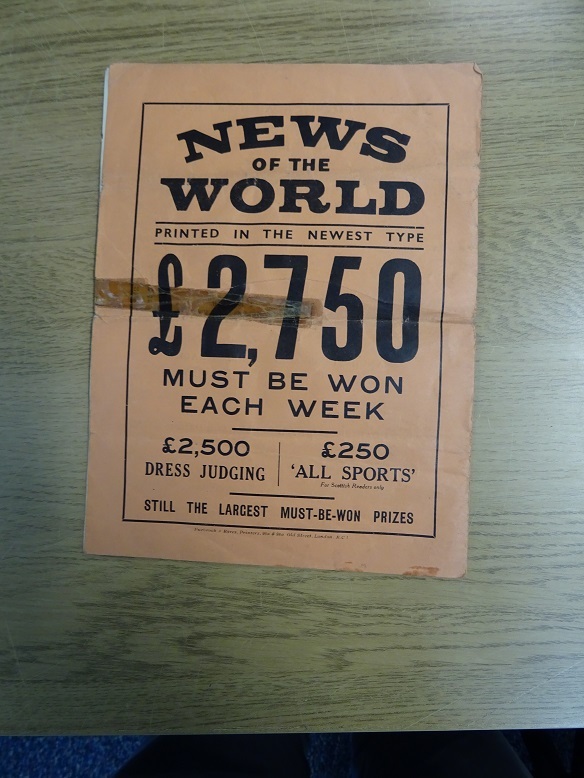 Chief among the wrestlers was G Steedman of Drybeck “against whom none of the competitors had the slightest chance.” The proprietor again presented a very popular show at Shawfield Grounds on 17th June with the finals of the previous week’s 200 yards race plus a half mile handicap. Crescents Park in Pollokshaws was the scene of another popular annual sports. 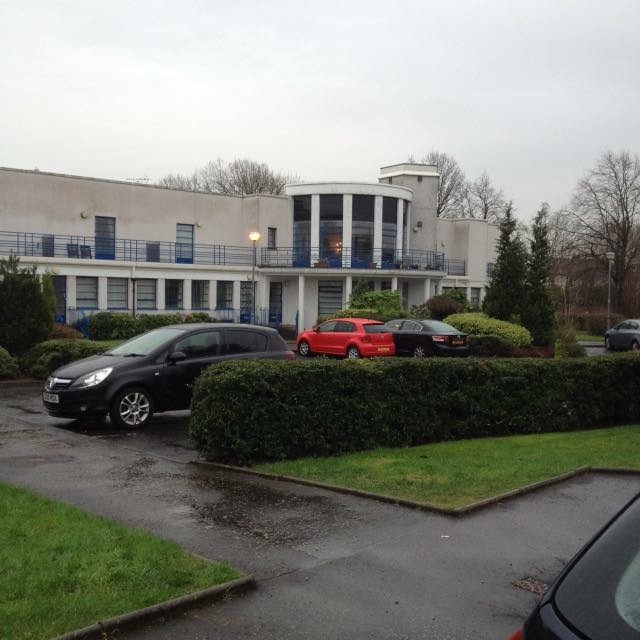 Well attended as these were, the meeting at the Renton in Dunbartonshire was the biggest with 4000 spectators present. The Edinburgh Institution held their annual sports too on that afternoon. The annual Games of the Kilbirnie Football Club took place on 24th June at Stonyholm Park, the Edinburgh University Cycling Club Sports took place at Powderhall with several foot races in the programme and the Shawfield Grounds events took place but were now reported in a separate ‘Pedestrianism’ column. 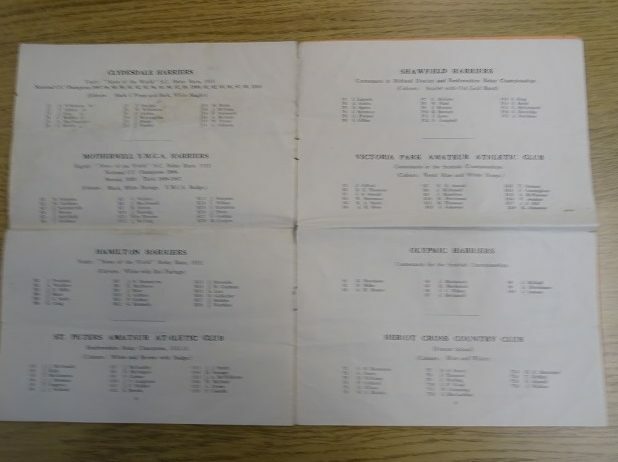 We are now three months into the summer athletics season and so far not a sign of the second annuals of either Rangers or Third Lanark meetings. It is of course true that their first annuals were in August but dates can change for all sorts of reasons, and because the events are annual, it does not mean that they are inevitably on the same Saturday v=every time round. July is a busy month for summer sports enthusiasts despite the Fair Holiday fortnights taking place. The last Saturday in June saw the South Western Annual Sports in Copeland Road grounds, Govan. As was to be expected many of the local football clubs were represented. This first day of the meeting was largely four a side football with a confined 100 yards and a place kick competition. 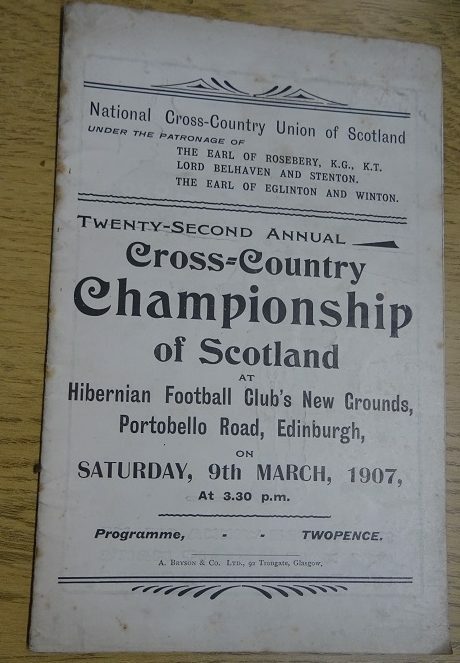 The seventeenth annual sports and bicycle races of the Edinburgh University AC took place at Corstorphine, and there was a meeting held at Plains, Airdrie. Into July and the second day of the South Western Sports which was mainly an amateur athletics meeting plus the final of the four a side football. 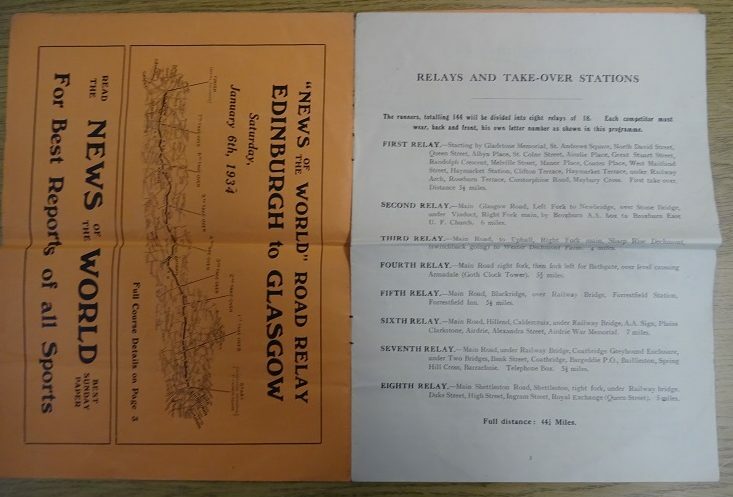 There were over 30 entered for the open 100 yards and all events were well supported.The Edinburgh Annual Games took place at the Royal Gymnasium, Edinburgh, and the Jedburgh Annual Games started with the quoiting at 10:00 am and included athletics. The prizes were of a high order an included silver cups with the 300 yards hurdles winner collecting a purse of gold, second also had a purse of gold and third took home a purse of silver. On Saturday 15th July the Balfron National Games took place. The title has nothing to do with the governing body (if there were one!) but everything to do with national pastimes. The meeting started with a ploughmans’ 100 yards, and included running, jumping, wrestling, quoiting. and a brass band competition with prizes of £12, £7 and £2. There was also the Denny Scottish Games which were professional and after a lapse of ten years the Stirling Highland Games appeared on the schedule: this was largely because the Strathallan Games could not take place that year. It was the success of the Strathallan Gathering that had caused the Stirling meeting to be dropped some years earlier but in the absence of this competition, Stirling filled the bill. The Johnstone Games took place as did the West Kilbride Annual Games and the West Fife Gymnastic Games. There was no football at any of these Games but that would be put right in the final weeks of the summer. On 22nd July the preliminary events for the St Mirren Sports took place with the football maybe taking pride of place. Teams involved included Queen’s Park, Dumbarton, Queen’s Park Rovers, Craigielea Academicals, Arthurlie, Johnstone Rovers, Argyll, St Mirren, Woodside, Thornliebank, Beith and Johnstone Athletic. There were a few cycle and foot races at this meeting. Falkirk Football Club also had a meeting that day – but without any form of football. The Queen’s Own Yeomanry Athletic Sports took place after a space of six years on the South Haugh of Hamilton on 29th July where there was a great variety of athletic events including ’tilting at the ring’. The Glasgow Police Sports took place on Glasgow Green – described as an inaugural sports and in addition to the more usual athletic events there was a ‘Catch the Thief’ race where the policeman, wearing the day uniform gave the thief 20 yards start. On this occasion the thief eluded his pursuers. The Colinton and Currie Games, and the Dalkeith Gymnastic Games took place in the east and Kelso Gymnastic Games in the Borders. August was when the Third Lanark and Rangers first annual sports took place in 1881, In time the first Saturday in August would be the Rangers Sports day for many decades but on 5th August 1882, the only meeting reviewed in the Glasgow Herald was the Nairn Games where there were ‘athletic sports, bagpipe playing and dancing.’ The big event on 12th August was the Bute Highland Games at the Public Park in Rothesay. 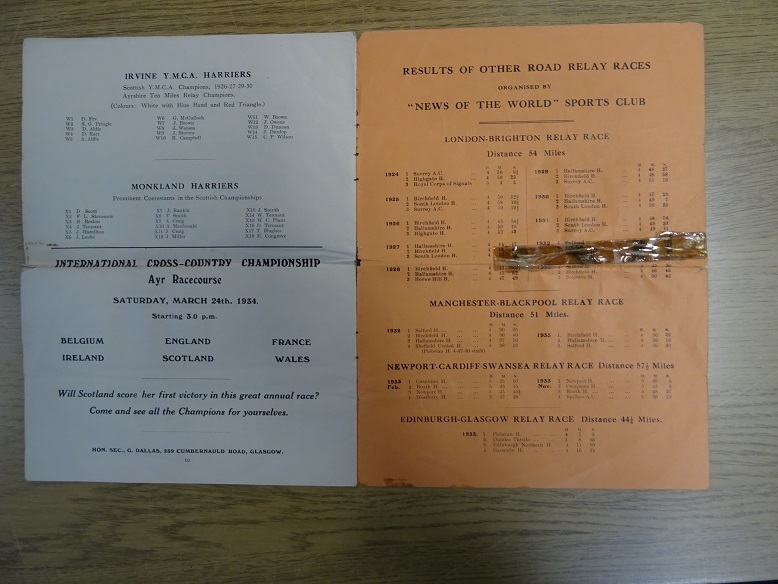 There was a very long programme involving athletics, dancing and wrestling with separate races for amateur and professional runners. After the founding of the SAAA in 1883, amateurs would not be allowed to compete in the same meeting as professionals but in 1882, it was thought to be appropriate. There was also a big meeting at the Shawfield Grounds. 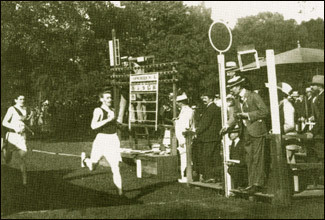 One of the runners in the sprints was cautioned for not trying and the winner of the mile was Moore – ‘a Glasgow ped who is credited with being a genuine “square” runner’. The prizes were all cash. There were Land Sports at Dumbarton Pier organised by Dumbarton Football Club. Another football club – St Bernard’s FC – had their sports at Powderhall: again they were labelled the ‘first annual’. The football competition here was a five a side as opposed to the more numerous four a sides. The Lauder Games and Horse Races were also held – so far we have had what we were taught as the long jump called the wide jump, the long leap, the broad jump, the running long jump and Lauder referred to it as the Running Spring’ as opposed to the ‘High Spring’. 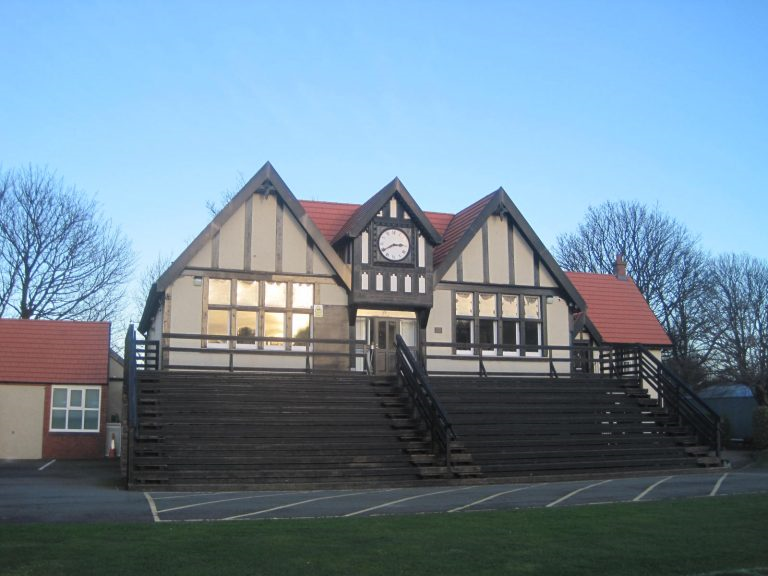 On 19th August the Ayr Academical Athletic Club’s Autumn Sports were held at Springvale Park in Ayr. 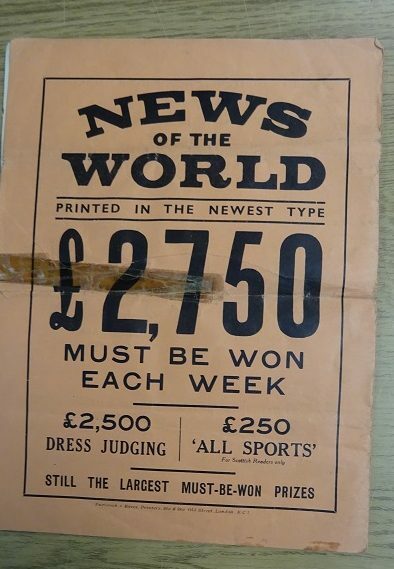 There were flat races both open and confined, field events (throws and jumps), cycle races, and the report concluded with the remark that there were several other interesting events on the programme without saying what they were. The by mow customary meeting was held at Shawfield, and Crieff Highland Games were held in Market Park before an amazing assembly of the great and good. There were no athletics competitions of any sort reported on in the Glasgow Herald for the last Saturday in August but the Queen’s Park FC meeting was there in its place on 2nd September. The band of the HLI played throughout the afternoon and there were bicycle races as well as foot races. The great WG George of Moseley Harriers competed and won the mile and half mile but was only second in the quarter mile. 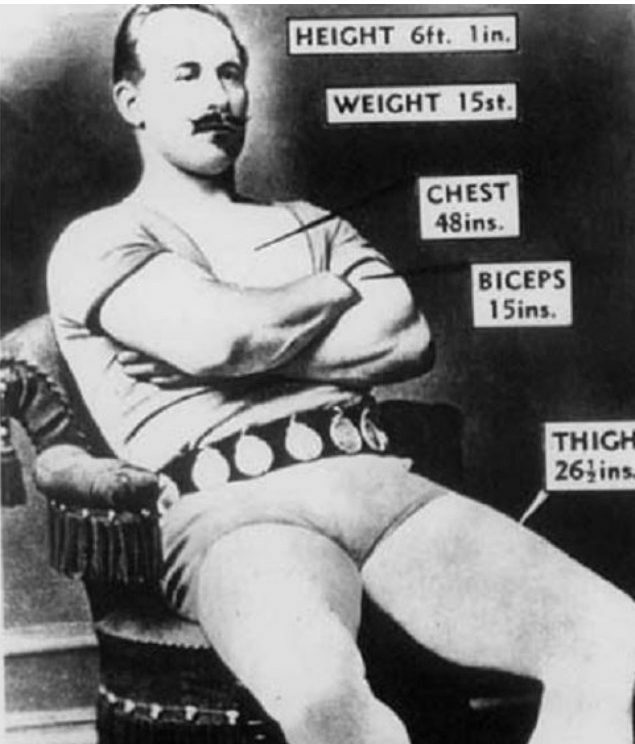 The most successful of many nglishmen was DH Brownfield who won three events – including the broad jump. Although there were many football players among the prize winners, there were none from either the Rangers or Third Lanark. The only athletic opposition that the organisers faced was the professional meeting at Shawfield. A week later, 9th September 1882, there was the usual professional meeting at what was called this time round the Shawfield Recreation Grounds and there was a meeting organised by the Dunfermline Cricket and Football Clubs. Away from the central belt there were annual games at Lockerbie and the Edinburgh, Straiton and Pentland Games were held. There were sports organised by the Volunteers but they were the 1st Dumbarton and Renfrew Artillery Volunteers. 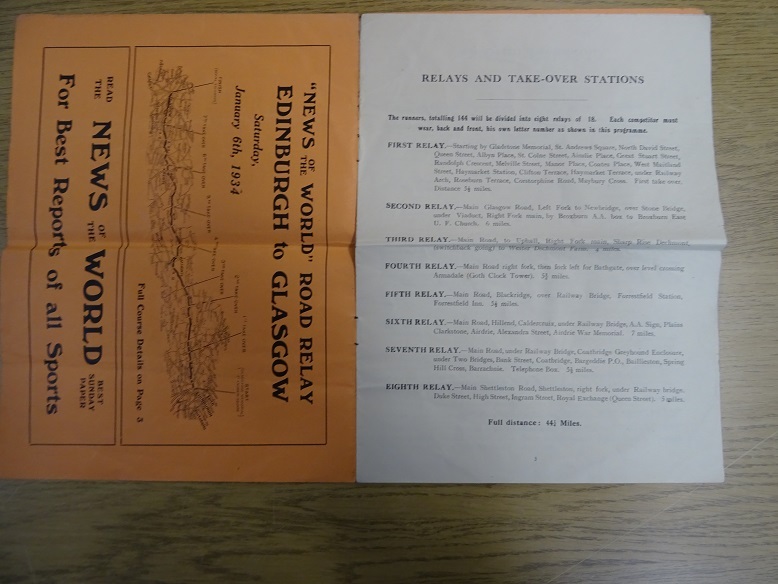 The only entry under the heading ‘ATHLETICS’ on 16th September was the Paisley Bicycle Race Meeting which was confined to cycle racing with no athletics, football or even tug of war to break the pattern. 23rd September was again a good day for Shawfield with the regular 2000 spectators turning out for the pro sports and the only other event was the small Rosewell Games. The season was effective ended on 30th September when Shawfield saw what was said to be the best running of the season and there was a meeting at the Edinburgh Royal Gymnasium’s own grounds. A match for £10 a side over 150 yards ‘level’ was held at Powderhall and that finished the summer season. Having looked at what was on offer ever Saturday, as reported in the Glasgow Herald’ from the start of April until the end of September without sight of a sports promoted by either Third Lanark or the Rangers, it would seem that no second annual was held. It should be noted though, that the search was limited to reports in the ‘Glasgow Herald’ Monday editions. The events could have taken place and not been reported; or they may have taken place on days other than a Saturday. These both seem unlikely. Let’s get the question of whether the connection with football was good for athletics out of the way to start with. 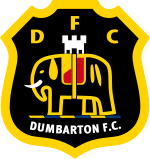 A very large number of senior and professional football clubs was established in the 1870’s – Queen’s Park FC was set up in 1867 with Kilmarnock FC two years later, but we note that Dumbarton 1872, Third Lanark (1872), Rangers (1872), Hamilton Academicals (1874), Hearts (1874), Hibernian (1875), Falkirk (1876), St Mirren (1877), Arbroath and Airdrieonians (1878) all appeared within seven years of each other. It might be a useful exercise to see what the Scottish athletics scene was in 1871 and compare it with 1879 to see what differences, if any, appeared. Into July and the 10th RRV organised the Greenock Highland Games where several noted athletes took part, and the following week saw the Dunblane Highland Games and the Campsie Athletic Games. 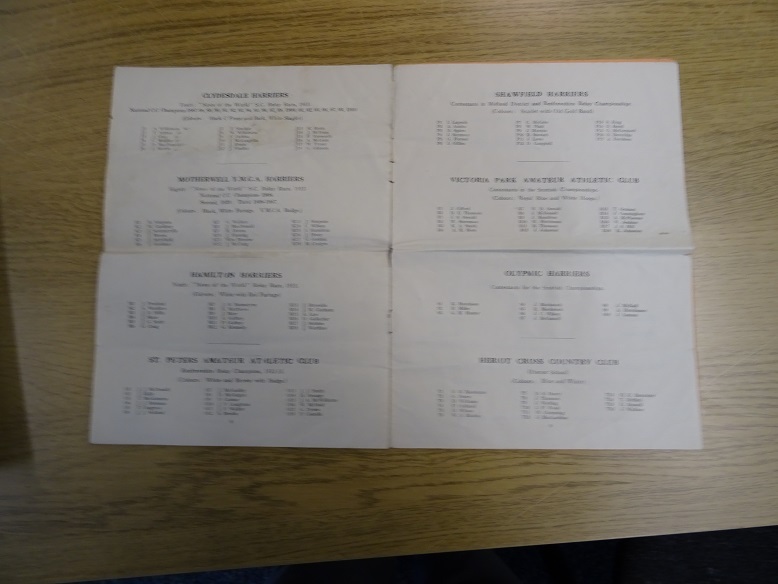 I have noted the various organising bodies as an illustration of the haphazard nature of the organisation of the sport at the time -schools doing their own thing, a quoiting club, a local committee, the 10th RLV, and local Games Committees which were self perpetuating bodies. This diversity in provision led not unnaturally to local distances and events – a 250 yards race at one venue, a 4 miles race at another, a Beaters Race, and throws events such as ‘throwing the sledgehammer for height. The nature of the Games as a social event on the local calendar is perhaps best illustrated by the Balfron National Games and Horse Racing. 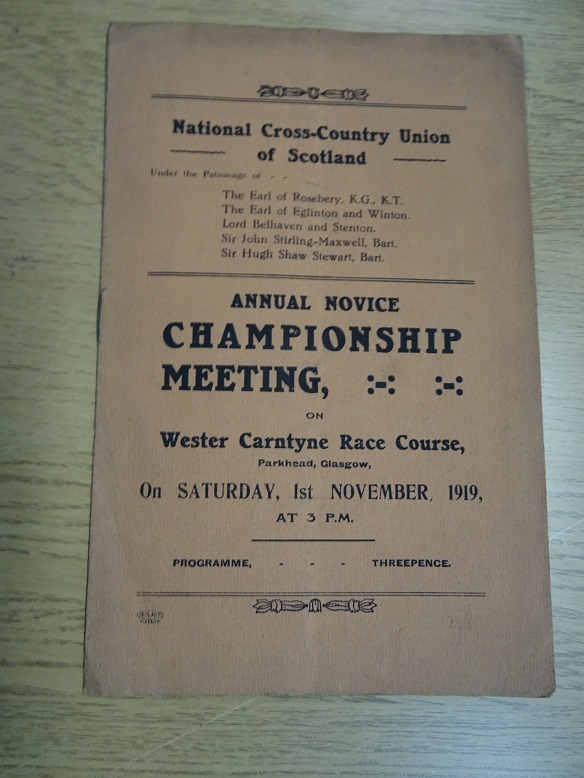 The National Games were traditional Scottish events including races for local boys (living within 5 miles of Balfron), The competitors included top men such as Donald Dinnie, ove of the best Scottish throwers ever, and Alex McPhee (Paisley) who won many races around the country and was father of Alex, junior, and Duncan McPhee who were Scottish champions on the track and over the country for Clydesdale Harriers and West of Scotland Harriers. The athletics were followed by the horse racing where the star turn was a beast named Snorter. In August there was a meeting at Milngavie organised by Sir George Campbell, Bart, on the same day as the Strathallan Gathering at the beginning of the month, there were others at Paisley, Kilbirnie and Crieff in August. The picture is anything but clear but what we can say is that whether an event occurred or not depended on the interest of a particular group or individual. eg with hundreds of RLV’ in the country, what inspired the 10th RRV to put on a meeting? Or later the 1st or 3rd RLV organisations? Why a quoiting club? The provision was patchy and irregular. The events were staged in local fields. The fields being of different sizes, the distances were often of different lengths – the 250 yards above was replaced by a 150 or a 300 or a 330 yards at other venues. The middle distances were poorly represented although there were enough at one mile, four miles, two miles, or whatever to earn a fair amount for runners like Alex McPhee. There was no standardisation of distances between venues and the measuring was almost certainly of variable accuracy. There were for a few years in the 1870’s Inter-University meetings but there was a break after 1873 (held at St Andrews) and 1889 when they were resurrected at King’s College in Aberdeen. Finally there is no description that uses the word ‘amateur’ in any of the reports on the meetings – nor do they use the word ‘professional’ either. Given the frequent mention of known professional athletes and the fact that we know meetings such as Dunblane and Strathallan were professional at the period (although they later ‘turned amateur’), it can be assumed that most meetings were professional. There is a marked contrast with the 1879 season. Given the amount spent on the awards, it is clear that these clubs valued what the event would bring to them in return. Running a sports was not a small undertaking. In addition the standard of athlete was high (JA Crerar of Third Lanark, and J Finlayson of QPFC were among the prize winners at this meeting). Obviously, the nearer the venue to any of the big cities, the more players from the big teams there were. 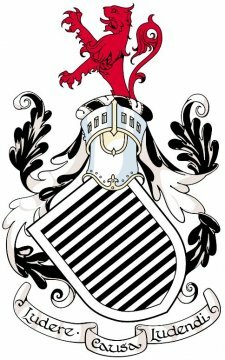 The Parkgrove FC meeting in Govan had competitors from QPFC (incl JW Harvie, BB Sykes, JD Finlayson), Rangers FC (A Watson) and LRV (JA Crerar, J McKay) as well as from assorted other football clubs noted only by their initials – JCFC, WPFC, and others. The prizes awarded were often listed in reports but the only one noted at the Parkgrove meeting was for the 300 yards handicap (confined) and was a sterling silver cup worth 30 guineas – ‘presented by the ladies of Govan. To be won three times.’ The last qualifier was important since many athletes thought winning a cup once meant you kept it. Even stipulating three times was not a tight enough definition either – did it mean winning the trophy three times was enough or did it mean that it had to be won three times consecutively? Nevertheless 30 guineas was a big sum in 1879. 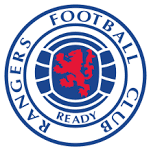 The bigger clubs such as Kilmarnock FC, St Mirren FC, St Bernard’s FC. 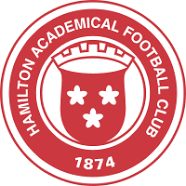 Hamilton Academicals and Airdrieonians had their own meetings with their own variations on the format. Hamilton Academicals had their sports over two consecutive Saturdays. 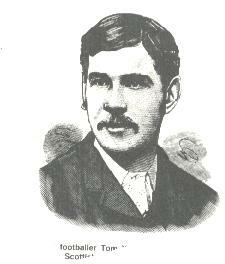 eg on 5th July 1884 they held the first day’s sports where the main events were the football competition which was won by Cambuslang, the place kick won by H Reid (Rangers FC) from H McHardy (Rangers), 100 yards heats with final the following week, and the confined 440 yards. On 11th July, there were eleven events, 100 yards (open), 100 yards (confined), 440 yards open handicap, scratch half mile (confined to clubs from Lanarkshire), half mile open, one mile handicap, 120 yards hurdles, obstacle race, consolation race, one mile cycle race, two miles cycle race. The prize winners were almost all from football clubs – Cambuslang FC, Dumbarton FC, Pilgrims FC, Rangers FC, Royal Albert FC, Vale of Leven FC, 3rd LRV FC and Hamilton FC with some athletes from the universities (a few) and other clubs such as Golfhill Tennis Club. 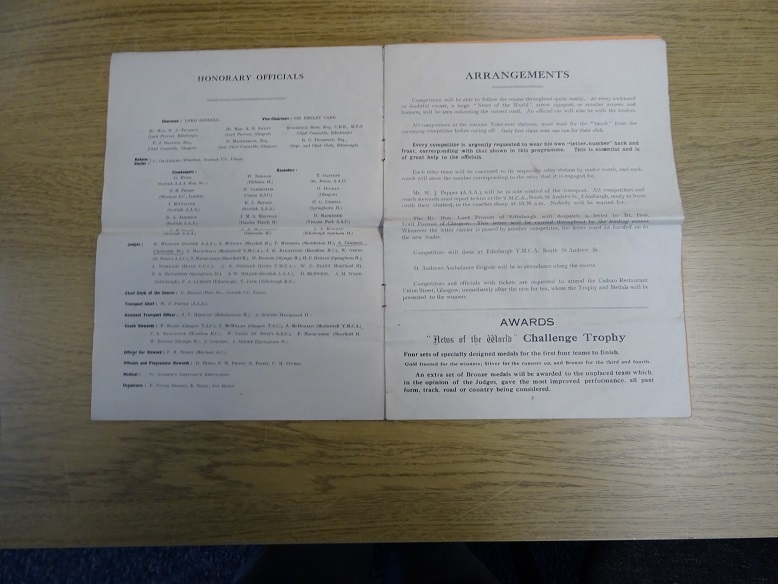 That same day, Airdrieonians had their own two day event with an amateur athletic sports on the 12th and was mainly composed of confined events plus a four a side football competition with the final to be held the following week. Came the 18th and it was an athletics meeting that we would recognise as such today. 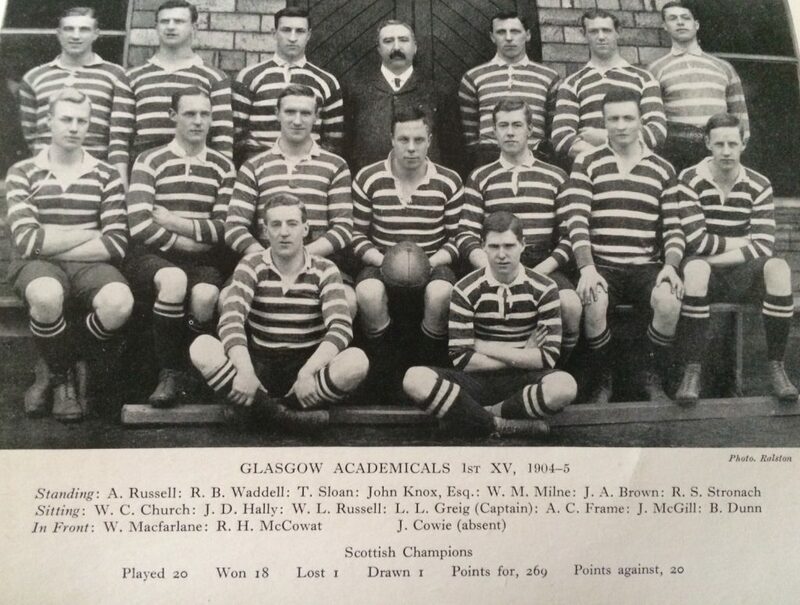 There were several names which were well known at these Sports around the West of Scotland – A McNab (3rd LRV) was a prolific prize winner, JG Cleland (Royal Albert) and “the sack race was an easy thing for ‘Tuck’ McIntyre’ who was a member of Rangers FC who, as well as being an excellent sprinter in open events, was making a habit of winning or being placed in the obstacle race and the sack race. 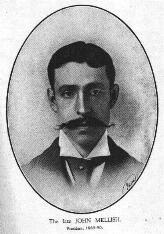 Before playing for Rangers, from 1883, he had been a member of Alexandra Athletic – a club that had a long history of promoting amateur sports back into the 1870’s. Also on that afternoon were the St Bernard’s FC Sports at Powderhall and the West Kilbride Annual Sports at Seamill. When St Mirren opened their new grounds at Westmarch in Paisley on 23rd July 1883, they did so with an amateur athletic sports meeting. Founded in 1877, theirs was one of the oldest annual sports meetings on the calendar, late July every year, having been started in 1881 and continuing from there. Greenock Morton, founded in 1874, was there too with a first rate annual sports,usually towards the end of May, where the feature race was for many years the quarter mile with such as Eric Liddell racing at Cappielow for Edinburgh University as an individual and in the relay too. Of course the football clubs also gained – money from the crowds that rolled up and fitter players among the benefits but the contrast between athletics provision in 1871 and 1879 was marked. Tuck McIntyre (left) and Tom Vallance (right). 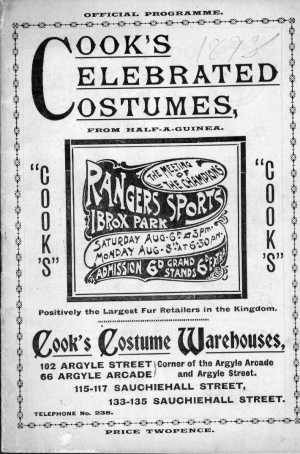 Given that the Rangers Sports was one of the longest running sports promotions in Scottish athletics history – it ran from 1881 into the 1960’s – and the importance of its place in athletics particularly after the second great war, it is maybe appropriate to note the origins in a separate page. Note that the meeting spoken of was in 1881, two years before the SAAA was founded and four years before the first open athletics club appeared on the scene. The following is from the ‘Glasgow Herald’ of 22nd August, 1881. The first annual amateur athletics sports held in connection with this celebrated football club took place on their grounds, Kinning Park, on Saturday afternoon. Splendid weather and a most attractive programme induced a large number to be present, though the grand stand was but partially occupied. The sports were in all respects a great success, the two mile bicycle contest being one of the chief features. There were five competitors, including DD Bryson, the amateur champion of Scotland, who rides splendidly, and in the last two laps received round after round of applause. For the obstacle race, 24 entered, who were set off in three heats and a final, and as the difficulties proved rather trying to the competitors, few completed the distance. At the start the men ran about thirty yards backwards, turned round and got over the first barrels by leap frog, the next were crept through, the hurdles were crawled under and leaped over as best they could, where fresh difficulties had to be overcome. The first of these consisted of poles placed at an angle and resting on the top of horizontal bar about 10 feet high, from which ropes were suspended, the poles were clambered up sailor fashion, the ground being reached by sliding down the ropes. Further on, young trees, divested of branches, and supported at either end by trusses about 2 feet high had to be walked along, and as they were placed at a distance from each other, and about 35 feet long, the vibration in the centre caused most of the competitors to lose their equilibrium when they had to try again or give up. The last obstacle was a horizontal bar over which the men had to throw a somersault. When this was reached the best gymnast both in the heats and the final, was 30 or 40 yards in front, when he had an easy finish. In the half-mile open handicap, JD Finlayson (QP) was defeated by McCulloch of Helensburgh, and though entered for the Mile he did not run. A large field entered for the 100 yards open handicap, the running in which was very good. The tug-of-war was different from the usual contest. Instead of teams facing each other and pulling one rope in opposite directions to force their opponents over the mark, the new method consists of two ropes of equal length with loops at either end and securely tied together in the centre. Four only compete at a time, each putting the fixed loop over his body and standing at opposite corners where flagstaffs are fixed in the ground about two yards behind. All pull in opposite directions, the first who seizes his flagstaff and drags it from the ground to win. The contest was most amusing. All the other events passed off well. The sports were under the patronage of the most noble the Marquis of Lorne, the Hon the Lord Provost of Glasgow, Dr Cameron MP, Mr A Crum MP, ex-Lord Provost Collins, and other gentlemen. A source of attraction was the playing and singing by the band of the 8th LRV. Judges and Handicappers – Mt Livingstone and Mr Robertson. Starter – Mr John Graham. Timekeeper – Mr J Smith. Clerks of Course – Mr McKay and Mr P McNeil. Referees – The Sports Committee. One Mile Open Handicap: AD McGillivray, Caledonian FC, 4:46. 14 ran. Place kick open: AH Holmes, QPFC, 183 feet. There was also a four-a-side football match won by QPFC who defeated Blackburn Rovers in the final. 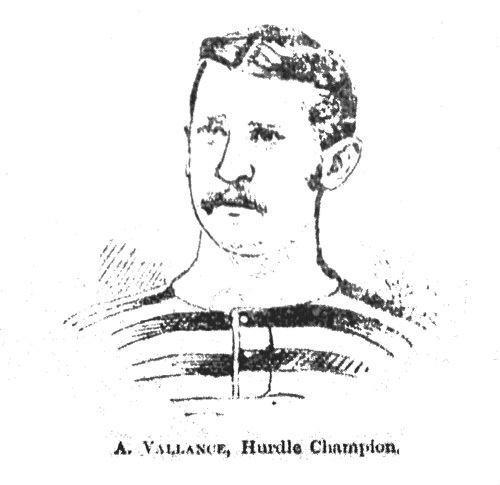 The ‘Man of the Meeting’, had there been such an award, would undoubtedly have gone to that superb athlete Tom Vallance who won four events of widely differing natures. He would go on to set the first recognised Scottish amateur long jump record a month later at the QPFC Sports with a leap of 21′ 11″. 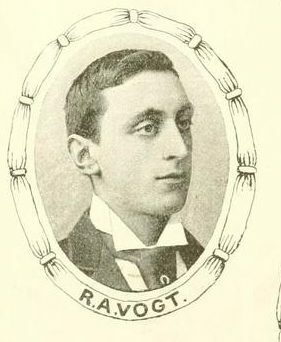 At the inaugural Rangers Sports, his brother Alex was third in the half mile handicap and he would go on to win the SAAA 129 yards hurdles in 1888. 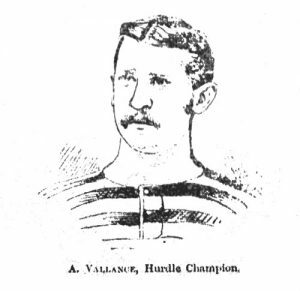 Mention has been made of Tom Vallance’s record long jump at the QPFC Sports on 3rd September, 1881. It was not his only event that afternoon. In the hurdles race, brother Alex was second in the first heat, then Tom won his heat by 6″ and then won the four man final from Turner (QP) and Alex was third. He won the Broad Jump, as it was then called, in a new Scottish record of 21′ 11. The high jump report comments that Vallance of the Rangers was ‘the first to succumb‘ but doesn’t specify which one it was. The Games had their share of controversy too – JA Crerar of Third Lanark being second in the 440 and also in the 100 yards where many thought that he had been the winner, and even more disputation after Arthur Muir of Kilbarchan won the pole vault: he was alleged to be a professional competing under an assumed name with the result that the prize was withheld until the matter had been decided in Committee. No doubt about either of Vallance’s victories though. The star name was that of Englishman WG George who won the half mile and Mile. By the time of the Queen’s Park Sports took place, the football season was well under way and no real sports would be held thereafter. An interesting sideways glance tells us that the great miler WG George took part in the Queen’s Park Sports of September that year winning the Mile (easily) and the half mile but could only finish second in the quarter mile. Rangers and Celtic Sports in years to come would regularly invite champions from England and Ireland but Queen’s Park was there first. 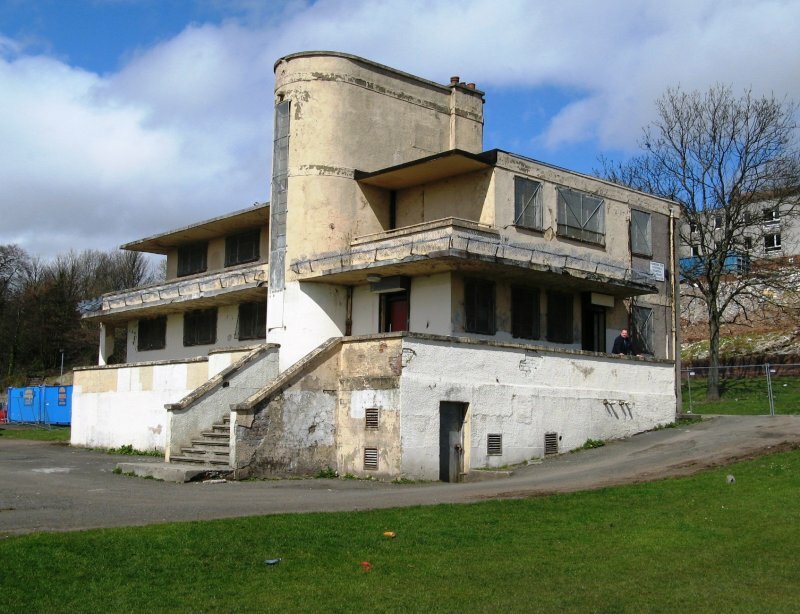 The south side of Glasgow was also served by the South-Western Football Club Annual Sports which were held at their grounds at Copeland Park, Govan. The number of running events was limited to a sprint and a middle distance event and the main event was a four-a-side but a good number of the runners were from the football clubs – Rangers and QPFC as well as the sponsoring club. The quest for the ‘Second Annual’ Sports can be seen at this link . “There will be no Irish competitors at the Celtic Sports on Saturday but it is just possible that one or two prominent Irish athletes may figure in the flat events. They of course run the risk of disqualification if they compete under the rules of an alien Union, but that would seem to have little or no terror for them. The Celtic, as is well known, have a powerful influence on Irish athletic circles, and from the temperament of the people across the channel all the restrictions in the world will not prevent the men from competing if they make up their mind to do so, and can find the time to travel to Scotland. 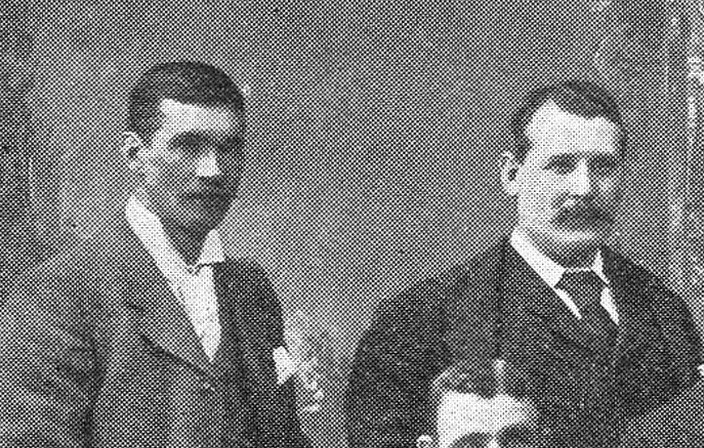 What influence the absence of the English party, whose presence has always been a commanding feature of the Celtic sports, will have on the attendance remains to be seen.” Yes indeed, runners like Bradley and Bacon were undoubtedly big attractions and also added a lot to the Scottish scene generally and they would not come to the SAAU rules Celtic sports. 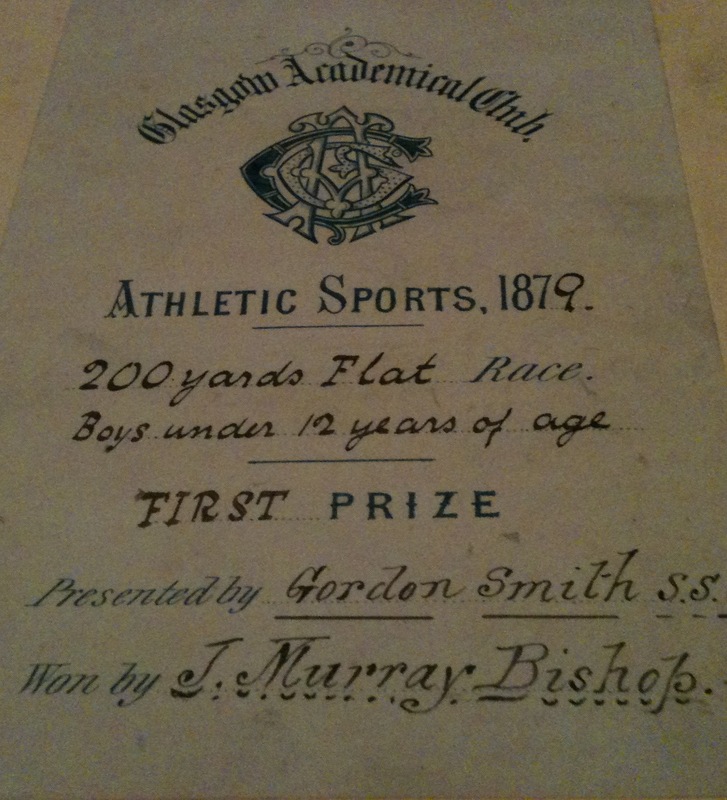 Before we go on with the account of the Celtic Sports in 1895, we should maybe look at some Scottish athletics history. The top club in any sport, whether it be football, athletics or any other will be the subject of criticism and at times unfair discrimination. In 1895 Clydesdale Harriers was the strongest club in athletics and Celtic was one of the strongest in football. The Scottish Amateur Athletic Association was in dispute with the Scottish Cyclists Union which was allied to Clydesdale Harriers. One thing led to another and Clydesdale broke away from the SAAA. With powerful members of Celtic also members or former members of Clydesdale, eg the Maley brothers, PJ Gallagher, etc, the club left the SAAA and joined the Union. With the SAAA allied with the AAA in England and the IAAA in Ireland, it meant that no athlete of any club affiliated with these bodies could run at SAAU events without being disciplined by their governing body. Celtic were outside the SAAA pale and had cast their lot with the SAAU. Back to Scotland in 1895. 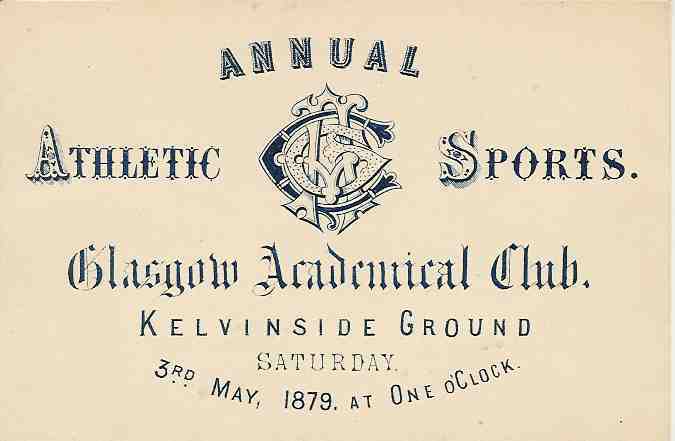 As far as the athletics was concerned, there was nothing really remarkable other than the revival of the steeplechase and after the interest and amusement it created on Saturday, it is certain to be an annual institution at Parkhead.” With an attendance of 20,000 lined round and round the arena, the events on the programme included 120 yards handicap invitation, 100 yards flat race (10 heats and three semi finals), 220 yards (8 heats), 440 yards (4 heats), one mile, and mile steeplechase handicap (29 ran). They were all good, close, club standard races and the point of the steeplechase seemed to be entertainment with one comment being that there were not enough water jumps. There were also a number of cycle races in which RA Vogt had entered as Celtic FC! The Maley brothers were all famous athletes – Tom was maybe the most naturally talented, Willie worked hard for the successes he got, and AS was a regular competitor in the sprints at the Sports meetings round the country. 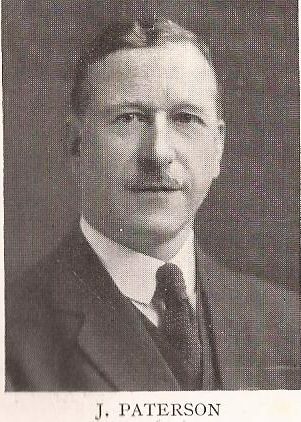 Alex Maley was the third of the Maley brothers who all became football managers – he was manager of Clyde, Clydebank, Hibs and Crystal Palace, and Tom at Manchester City, Bradford Park Avenue and assisted at Southport. 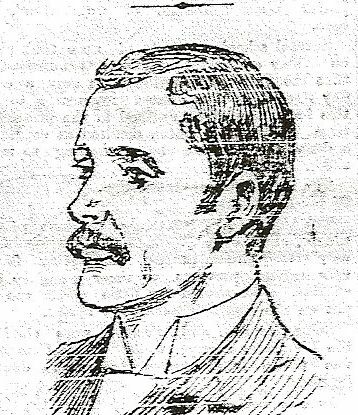 1896 was to be Willie’s year – even if he had been a team manager for several years. There were two Scottish championships in 1896 and Willie ran in the SAAU version at Hampden on 27th June. His form coming in to the championships was not of the best but on the day he emerged triumphant as SAAU Scottish 100 yards champion with a winning time of 11 seconds. When the day came there was a sight seldom seen at any sports meeting: the team manager running in the competition and even winning a prize from a low mark. Willie Maley was second (scratch) in the first heat of the invitation 100 yards and second in the final, beaten by JB Auld (1 yard) with the first 4 all very close across the line. Winning time was 10.8 seconds. The One Mile handicap was won by G Graham (CH – 75 yards) from JS Duffus (CH – 50 yards) in 4:23.8. In the open 100 yards there were 20 heats with AS Maley (off 4 yards) winning the 11th heat but not progressing to the final. It was won by T Frew (Vale of Avon – 5 yards) in 10.6. There was a Great Novelty Race – This race was between D McFarlane, cyclist, and S Duffus, four miles champion, and W Robertson, one mile champion, foot runners. The cyclist, who was paced by tandems, had to cover five miles or 3800 yards, and the foot runners about 2 1/2 miles or 4310 yards. The race afforded considerable interest to the crowd. 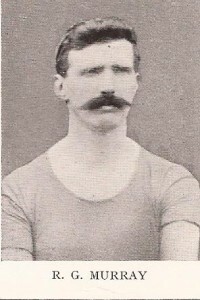 McFarlane, who smashed Vogt and Crawford’s records from two hours to five miles, won the prize. It was a good meeting but again there was evidence of the continuing series of innovations by the club – the novelty race, the steeplechase and the invitation race. The spirit would continue into the Monday meeting too. The article went on to say that there would also be a two miles handicap with A Hannah (CH) and J Lamb (Edinburgh) competing, plus a series of cycle races. The meeting on 10th August attracted 4000 spectators on a fine night, a;lthough the programme was said by the Herald to be a lengthy one. What was there on it? There was an open handicap 120 yards with 12 Heats: AS Maley, off 6 1/2 yards won the 9th heat and Willie Maley (scratch) tied with J Darque and in the run-off, Maley was the one to go to the final where he was unplaced, the winner being Cordner of Glenboig FC. The open handicap high jump saw a Maryhill Harriers 1-2: the winner was J Gillan from J McFarlane. The two miles flat race handicap was won by the scratch man, JJ Mullen of Elysian AC, from W Robertson of Clydesdale Harriers, also off scratch, in 9:44.6. The two ran together to the final straight when Mullen ‘shot to the front’ and won by 5 yards. Mullen was four times Irish AAA Mile champion between 1893 and 1896 and once GAA mile champion plus IAAA four miles champion in 1890 and five miles in 1896. There were three cycle races. 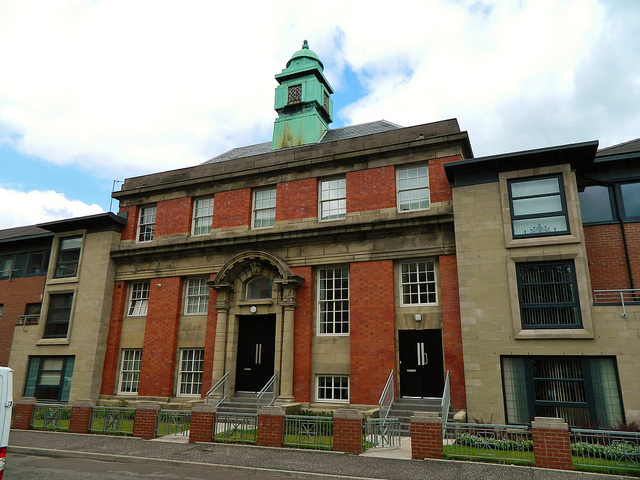 Negotiations had been going on between the SAAA and the SAAU over the weeks and months since the split and agreement between the two was reached in the SFA Rooms at Carlton Place in Glasgow on 23rd April, 1897. New laws and rules were issued defining what was an ‘amateur’ as had been accepted in Leeds in February 1896 between AAA, SAAA, and Irish AAA. Summer 1987 saw the two factions again competing under the single umbrella of the SAAA. The SAAU cause was probably helped by the fact that the major clubs in athletics and football were united in opposition to the SAAA. The sports were on Saturday, 14th August in 1897. as follows. “Everything the Celtic do, they do well; there are no half measures with them. Since the institution of their sports it has been a rule with them to introduce eminent athletes from England and Ireland . Bradley, Bacon, Perry, Wittenberg and Kibblewhite, an others of less note, have all helped to throw lustre over meetings at Parkhead from time to time, and though the amateurs of the present day are made of different stuff from these men, there are several who stand high in public favour, one or two of whom we are to have the pleasure of seeing on Saturday first.” It went on to name some of them, starting by saying that Bradley was not a certain starter, FW Cooper ( superb sprinter and Welsh rugby international), W Elliott, AAA quarter mile champion would run in the 300 yards, and W Tysoe would turn out in the 1000 and mile handicaps. They had invited 12 to 15 men to take part in the mile, including the three prize winners from the Rangers Sports the previous Saturday. 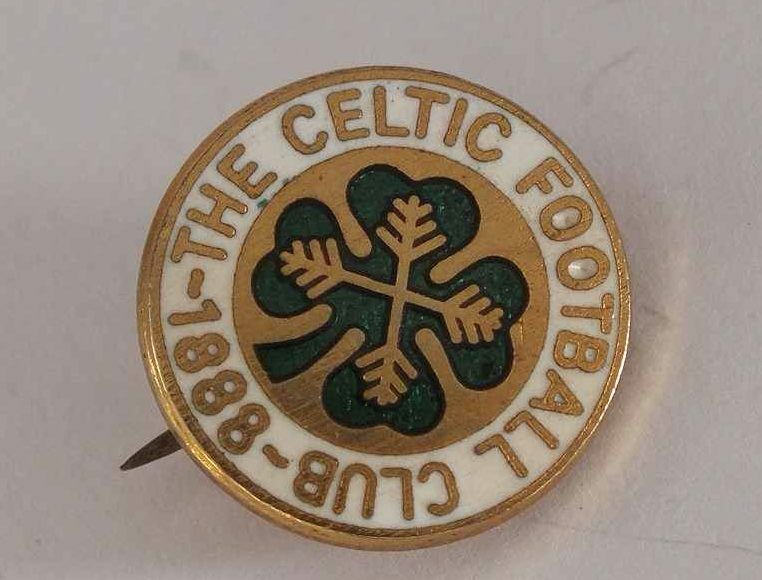 After these comments and the big build up, came the day and the Herald said: ” Expectation in the case of the English runners who took part in the sports of the Celtic Football Club was scarcely realised. 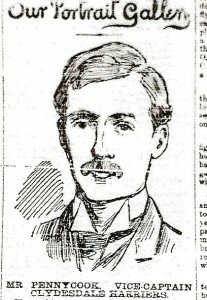 The fact is that both A Tysoe and JW Bradley were most disappointing, and their failure to rise to the dignity of their reputation is the only regrettable feature in connection with Saturday’s function which in other respects was one of the most interesting in the club’s history. Tysoe’s running in the 1000 yards was indeed poor and the final was won by Jackson of Maryhill Harriers, and the same script was followed in the Mile with Jackson winning and Tysoe disappointing. There were 20 heats, 4 semi finals and a final in the 100 yards which was eventually won by A Cairney of St Gerard’s off 4 1/2 yards. The 300 yards had nine heats and a final. There were 3000 spectators at the Monday supplementary meeting to see the 120 yards open handicap where after 12 heats, a second round and into the final, AS Maley was nowhere in the final which was won by Celtic FC’s T Moore. The two mile flat race was won by T McMillan of Stirling off a mark of 200 yards. Both meetings (Saturday and Monday) had several cycle races on the programme. The report of the meeting was in the ‘Glasgow Herald’ of 1st August 1898 . That means that the sports had been held on 29th June when the usual date had become the second Saturday in August. How so? Well, the second Saturday of August had always been pretty near the start of the football season and most years there were friendlies and trials being played by the clubs of whatever standard. This could at times make life difficult for any event taking place from the middle of August on. It would eventually mean the death of the Celtic Sports. In 1898 the season did start on the second Saturday and Celtic, reluctant to miss a year, and not wanting to hold them on the same day as Rangers Sports, went back two weeks from their normal date. Not being at home on the second Saturday, they held the Scottish 50 mile cycling championship at Parkhead that day. Hence the end of June for the sports. The meeting however was a good one – particularly for the flat racing, as reported in the ‘Scottish Referee’. The meeting was a success and the papers would be talking about it two and three weeks later when the football season had started up. The race of a meeting full of good racing with close finishes was the half mile with Tysoee against the AAA’s champion Relf. They ran together, passing Robertson of Clydesdale who was the best of the rest, before Relf gave nest 80 yards out leaving Tysoe to run on and win if he could. His time off 7 yards was 1:57.1 (against 1:57.8 a week earlier from scratch at Powderhall.) The winner however was Gudgeon of Ayr United. Apparently Tysoe tried to come through on the inside but there was a lot of jostling and he eventually fought his way clear when, according to the reports, had he just gone round his man he would have won the race. He redeemed his poor running of two years previously. The 120 yards was another very good race with all five finalists very close at the finish, JB Auld of Ayr FC, a regular finalist at these meetings, winning from 3 1/2 yards from Cooper of England (scratch) in 11 3/5th. Other events included a 220 yards (won by Kerley of Dublin), half mile (won by J McKenzie of Dublin – 25 yards), One Mile won by S Young of Paisley (115 yards) and several field events. Horgan of Ireland gave a demonstration of shot putting and created a new Scottish record of 46′ 8″, in the high jump Leahy who had cleared 6′ 4″ the week before only managed 5′ 11″and was easily defeated in the handicap. Caldow and Gascoyne starred in the cycle races. All in all a good quality meeting, a variety of events and everybody happy yet again at a Celtic Sports meeting. Denis Horgan of Banteer in the shot, Kiely of Carrick-on-Suir in the hammer and hurdles and Leahy in the high jump were all mentioned with Horgan setting a new .Scottish record of 47′ 1″ and Kiely doing like wise with 149′. 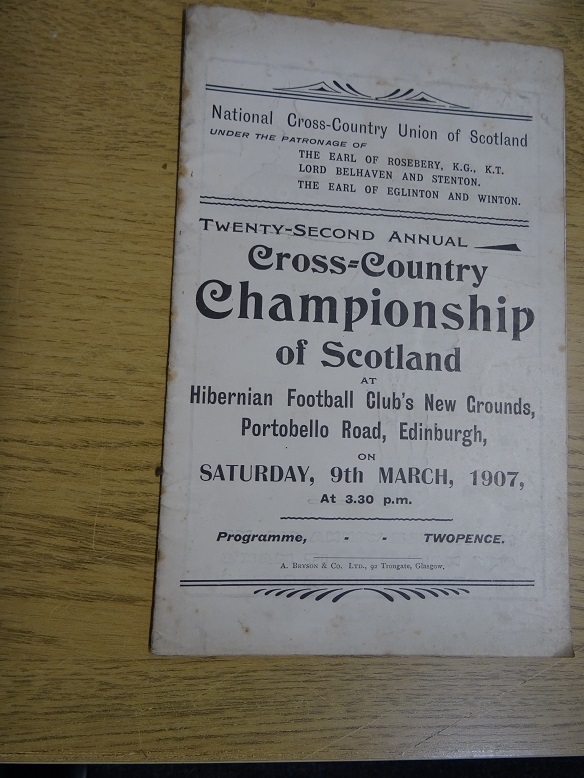 The half-mile was won by J McCafferty, sometimes known as P McCafferty who won the Scottish cross-country championship and then ran for Ireland in the international. 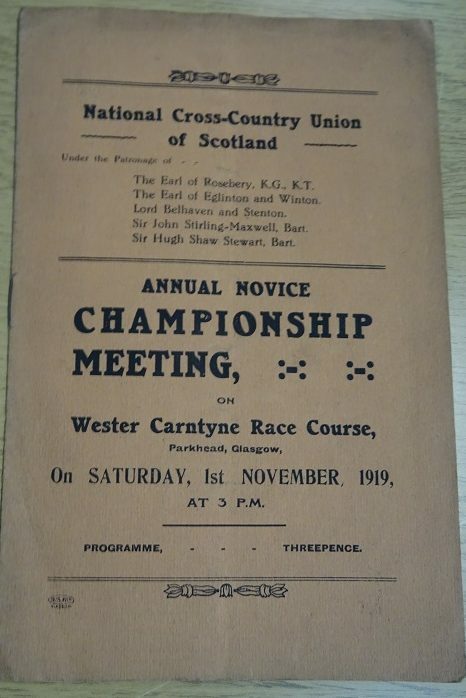 The Mile was said to be an interesting race with the winner being Clydesdale’s JC Lindsay although Clydebank’s A McDonald was jostled in the finishing straight when he looked like the winner and could only finish second, one place in front of McCafferty. The other races including the cycling events were close finishes but not up to the standard of those mentioned above. All round, it was a good meeting to end the millennium. There is need of a little sporting history here. Clydesdale Harriers was the biggest and most powerful athletics club in the country at this point and as is usual, big clubs attract criticism. This is true whatever the sport but in this case the governing body were taking steps to ‘clip its wings.’ The club had ‘sections’ across the country – five semi autonomous sections in Glasgow alone plus Dunbartonshire, Renfrewshire, Lanarkshire and Ayrshire. In addition they had members from outwith these areas attached to the nearest section. 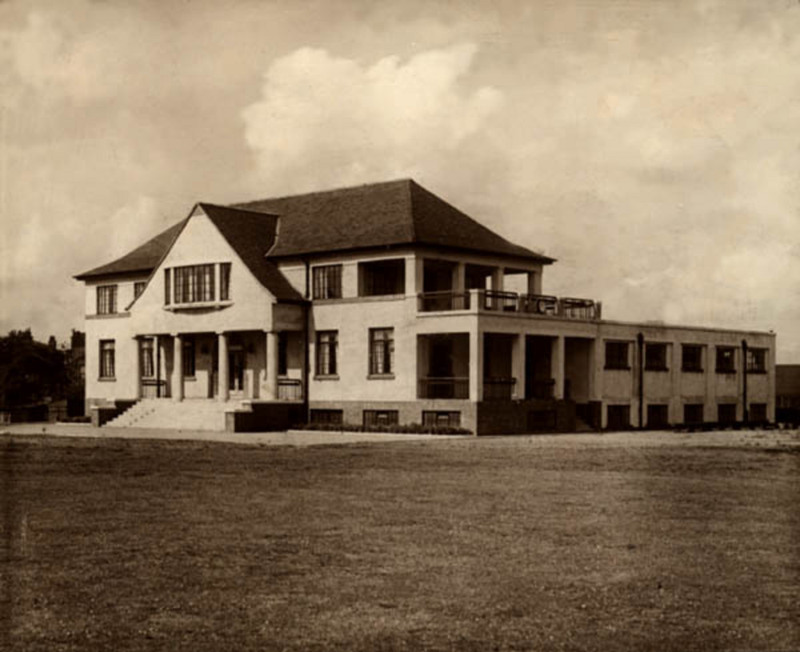 The first dispute in 1888 was because the SCCA wanted to (a) ban clubs from having sections at all – a direct assault on the only club to have such; and (b) rule that runners in championships had to have done at least ten training runs from the club headquarters during that season. With members in Stirling and other outlying centres who could not get to any of the HQ’s it was again aimed at CH. 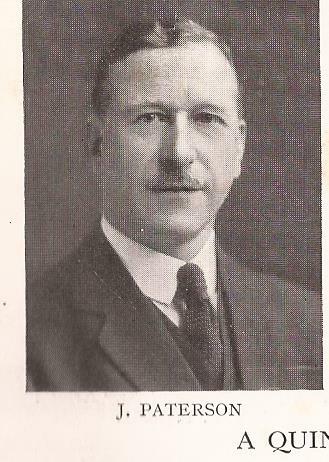 The Harriers broke away, set up the Scottish Harriers Union and ran rival championships and races and before long the dispute was resolved and among the chief negotiators for Clydesdale was John Mellish: described as ‘one of those who had brought the club to its resent high pitch of excellence’ by the Scottish Referee, a former pupil of Glasgow Academy, a member of the 1st LRV and secretary of a Scottish MP at Westminster, in 1889 he ‘permitted himself to be nominated as President of Rangers.’ There were many links between the two clubs. In the club handbook of 1895/96 we note the following: “It has been thought advisable to sever our connection with the SAAA, and become affiliated with the SAAU, a new body which has come into being owing to the strained relations existing between the SAAA and the SCU.” The SCU was the national cycling body and there had been continuing disputes between them and the SAAA on the definition of professionalism in the sport. 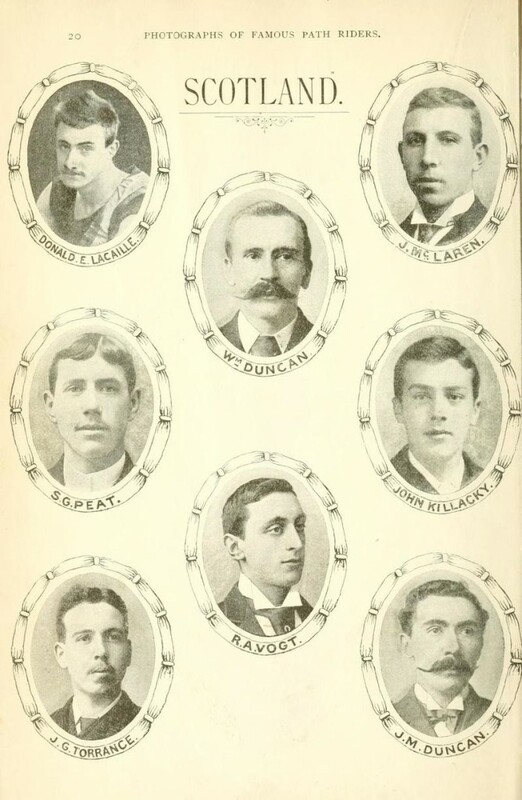 Clydesdale had members from a whole range of sports – cycling, swimming, skating, boxing, cricket and football – and were standing up for their own members. The CH then split from the SAAA and set up the Scottish Amateur Athletic Union. 100 yards: 8 Heats, three semi finals, final: G Browning 10 4-5th secs. There were 10 heats and two semis of the 100 with the eventual winner being D Cram of Rangers in 10 4-5th seconds. He took the lead at 25 yards and won going away. Cram had been a regular finalist in the sprints over the years but this was his first major win. The 300 yards was won by Auld of Ayr FC. A 1000 yards was won by L Ropner (Clydesdale) in 2:20.2 The Mile was won by Robertson of Clydesdale from scratch in 4:38.4 in what was described as a magnificent race. There was also a two miles in which, after Duffus and Hannah dropped out, H Yuill, Wishaw, won from 120 yards in 9:41.0. In this race there were 23 starters but only 3 finishers in the event. “A glorious and pronounced success! Augury successfully defied! Enterprise rewarded! These and such like terms as these describe the Rangers revels at Ibrox. It is not gush but fact to say that these were the best sports of the season, and it remains for the Celts to show whether or not they can excel them. Unfortunately champion Maley was elsewhere, so that Auld Ayr and Clyde Wilson were robbed of the chance of showing him the way to the tape. Neither of these two cracks were placed in the final which went to Barclay, three and a half yards. ” That was the comment in the ‘Scottish Referee’ the Monday after the Sports of 1896. The Sports in 1896 was on 3rd August. Three Miles: Lamb from Duffus. 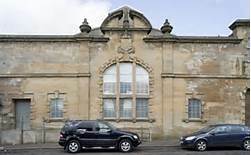 Meanwhile, in Stirlingshire, , “Secretary W Maley was at Brig’ o Allan negotiating talent for the 15th while AS Maley busied himself at a meeting in the ring at Ibrox booking entrants for Saturday 1st.” Who was competing in the professional Games at Bridge of Allan? Alf Downer for one and Gideon Perrie who was born in Lanarkshire but living in America and was the American professional champion for the shot, hammer and ‘other heavy events’. What of the competition, then? First off, there were more officials listed than at any of the previous Sports and they included W Maley (not off at Bridge of Allan this year), W Sellar, JR Gow, W Wilton, DS Duncan and A Hannah. 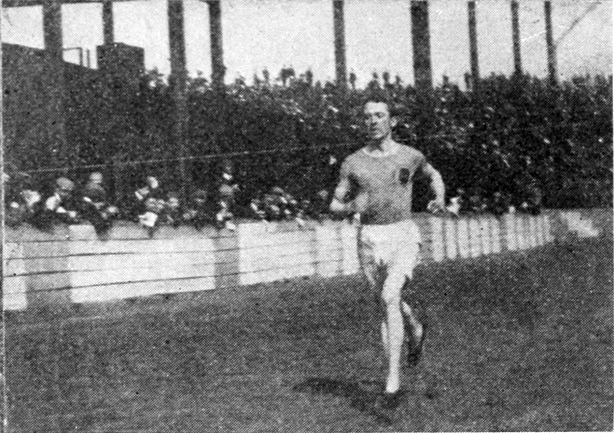 The 100 yards resulted in a win for JS Muir of QPFC, off 4 yards, by a foot; Half Mile: J Jeffrey (Irvine AC 55 yards) won; in the One Mile, DW Mill of Greenock Glenpark Harriers 60 yards) looked like winning it until Duffus (Clydesdale 55) came through strongly to make a dead-heat of the race: Mill would join Clydesdale and win the SCCU championships twice at the turn of the century); an there were also bicycle races for professionals and also for amateurs. The competition was continued on the following Monday evening. 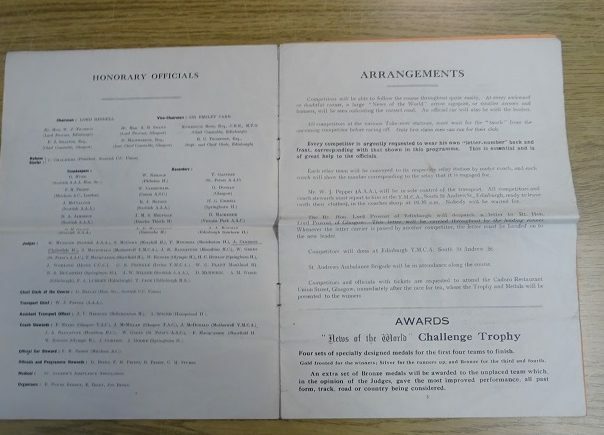 On Monday, 9th August, 1897, there was what was termed the continuation of the sports but the programme contained a senior 5-)a-side tournament (featuring Rangers, Third Lanark, Hearts, and Hibernian), a Junior 5-a-sides (with Strathclyde, Parkhead, Cambuslang Hibernians and Glasgow Perthshire) and a 220 yards confined to registered professional football players. With four heats and a final it was won by Tom Hyslop (Rangers FC – 5 yards) from Andrew Holms (Renton – scratch) and N Smyth (Rangers – 9 yards) in 24.0 seconds. Held on a pleasant sunny evening, it was watched by a crowd of 5000 spectators. The following year’s Sports were held on 6th August, and the Glasgow Herald on 8th August, 1898 published the details prefaced only by, “The gathering on Ibrox Park on Saturday afternoon was a successful one in respect of good racing, fine finishes and splendid management.” It was certainly well supported by the athletes – 20 heats in the 100 yards plus four semi finals and a final equalled 25 races over 100 yards in one afternoon. It was won by McLean of QPFC from Wardrop of QPFC in 10 seconds. The One Mile with an 80 yard limited handicap was won by TP Robertson (no club given) from R Brown (BH) in 4:20.4. The next race was the 120 yards invitation handicap won by Grant (CH – 5 yards) from PJ Kerley (MHFC) 1 1/2) in 12 seconds; Kerley then won the 220 yards handicap and in the half-mile A Morris defeated A McDonald (CH) in 1:58.4. There were also cycle races. both amateur and professional. The paper went on to comment on the individual events but the extract above indicates the success of another meeting. 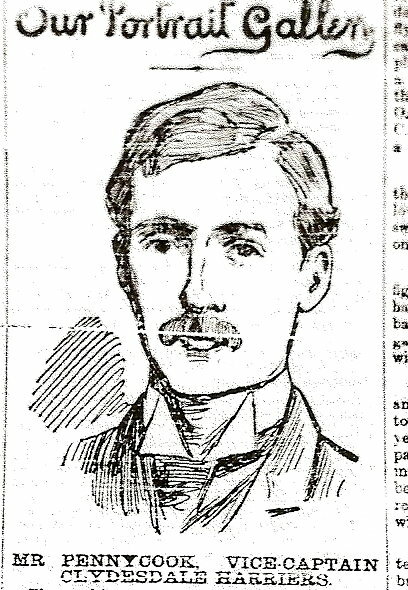 The weather was not good on Monday night for what was now being called the Rangers tournament but before that started there was a One Mile handicap won by J Dickson (Edinburgh – 75 yards) from J Darwin (East Calder) and J Revell (Galashiels). As for the football, the rainy weather had made the ground wet and boggy and did not lend itself to scientific football, but what it lacked in science, it made up for in spirit. St Mirren won defeating Hibernian by one goal to two points.